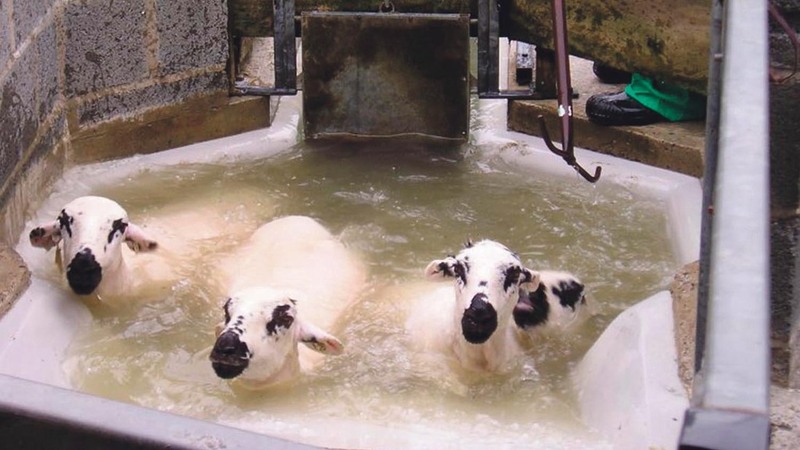 Sheep farmers will see one of the biggest hikes, with organophosphate (OP) sheep dip charges rising from £154 to £273. Charges for regulatory permits and services introduced by the Environment Agency (EA) to offer a ‘simpler, fairer and more effective’ financial method could see some payments rise ‘substantially’ despite industry lobbying. Under the changes, businesses will have to pay for the full cost of services they receive, instead of the public. The National Sheep Association previously said a price increase would make dipping less readily accessible to sheep farmers. Nic Parr, EA manager in regulatory services, said: “It is almost a hidden cost to many people, as not all activity is on-site. But sheep farmers do have the opportunity to consider whether to keep the permit. As of Monday (April 1), farmers will see a reduction in the annual charge for all existing intensive sites, but permit application fees for new sites will rise. There will be an increase in charges for land spreading to enable the EA to carry out checks at the permitting stage and to ensure people do not dump unsuitable waste. Increases to application and subsistence charges for flood risk activities will also be implemented, but the EA said the new scheme would ‘better reflect the trust costs of determining permits and monitoring compliance, and remove reliance on grant in aid funding’. Mr Parr added: “Our line of business is costing tax payers money and we need to reduce that burden on their purse.